If you live in Allandale and plan on commuting on Friday, stop by for a group photo at the Far West Bridge entrance on Shoal Creek at 7:00 am. If you are commuting but can't make the photo shoot, send me an email. 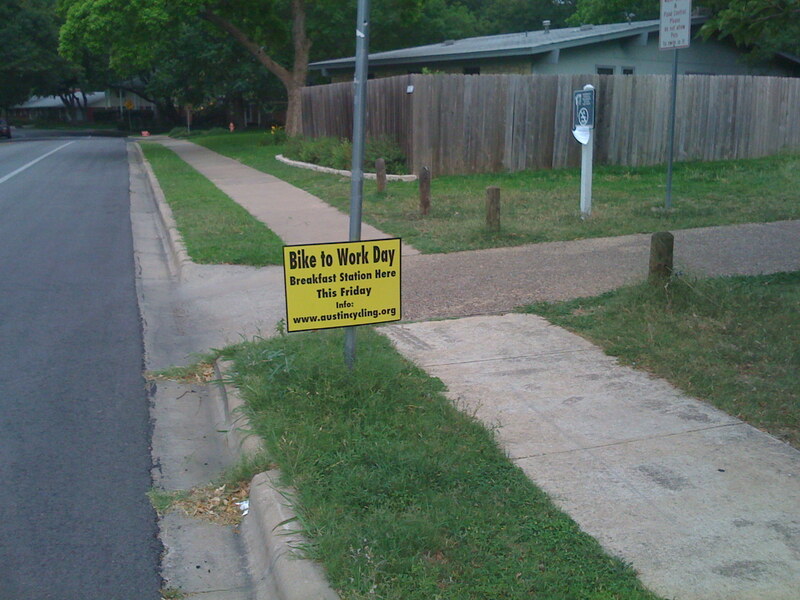 I am taking a count of the number of Allandale commuters that day – Tom Linehan: tlinehan [Email address: tlinehan #AT# austin.rr.com - replace #AT# with @ ]" target="_blank">tlinehan [Email address: tlinehan #AT# austin.rr.com - replace #AT# with @ ].